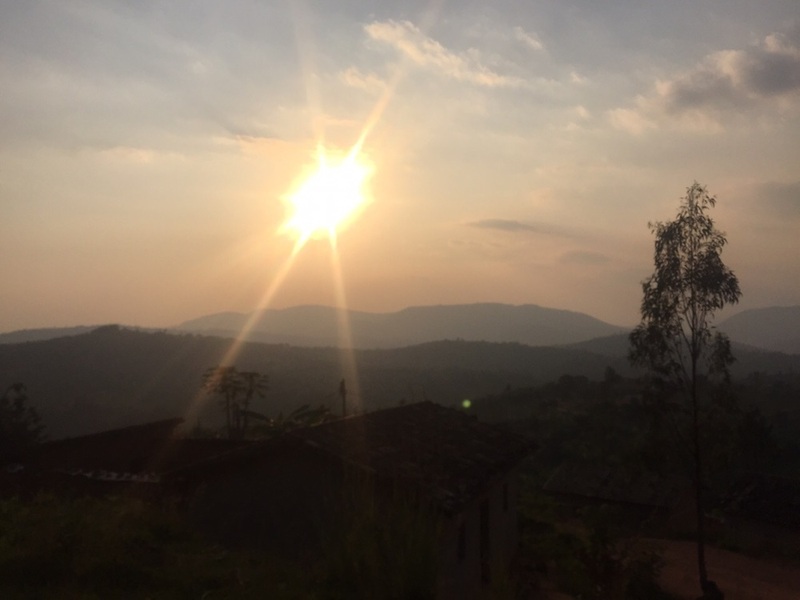 Nudge Explores Solar Energy 2015 is in Rwanda from 27 June - 5 July, learning and experiencing first hand about energy poverty and how this affects off-grid households. They want to create awareness about energy poverty in the on-grid world and come up with possible solutions helping WakaWaka in their mission to decrease energy poverty in the off-grid world. It’s 11am and I’ve just ordered an ‘African Tea’ in Kigali. However, I’m now realizing that the milky, gingery pot of heaven that the waitress is about to bring out is in fact just a tourist-friendly version of African Tea. I had the pleasure to taste homemade African tea very early this morning as we completed our 24-hour stay at Azizi Life, an off-grid community (aka not connected to central electrical power) cooperative, in Muhanga. Homemade African contains no milk—but rather water from the village’s water station—and is flavored with the herbs from the garden (in our case, Rosemary). Unlike my life in New York City, life in Muhanga came to a screeching halt as soon as the sun set (circa 6:30pm). Natural moonlight wasn’t bright enough to light our home and it was difficult to see even our hands a few inches from our faces. Our host mother quickly set aside a kerosene lamp, or as the bottle read ‘brake fluid’ so she could continue cooking dinner. We learned shortly after that her method of lighting her kitchen was to have her young son hold the burning kerosene lamp while she held a lit cell phone in her mouth—all the while, stirring our food! And just an hour after dinner (circa 9:00pm) it was time for bed. While exhausted, I was still programmed to crave a few hours of Netflix binging or quiet reading—both activities, of course impossible without (a safe) lighting source. I couldn’t help but wonder how the people of Muhanga stay connected to breaking national news—even local news without 24/7 access to internet? ; weren’t they dying to see what their peers were posting on Facebook? A huge part of me felt liberated from the constant pressure to keep up with pop culture, but I realized just how different my life would be I lived off-grid—how different my priorities would be.